Beit Or Aviva Organization was established in 1987, on Hartuv in Beit Shemesh, and was the first Therapeutic Community for Drug and Alcohol Addictions built in Israel. Founded by the late Mr. & Mrs. Aviva and Emil Nadgar, the community has since flourished from their inspiration. In 1988 Dr. Meir Hovav from the Department of Social Services and Dr.Yoav Santo from the Ministry of Health collaborated with the Nadgar family in order to foster and develop the Treatment Community. In accordance with the goals of the community Mrs. Aviva Nadgar appointed Mr. Eitan Sela to build the first Therapeutic Community site in Israel in Hrtuv, Beit Shemesh. In 1989 the second Therapeutic Community of Beit Or Aviva Organization – Ilanot, was built. Ilanot set the professional and therapeutic standards within the addictions community in Israel. In 1993, Ilanot established a maternity ward for mothers suffering from addictions. The ward was named “The Family Unit”, which provided the opportunity for mother and child to live together in the Therapeutic Community while simultaneously receiving much needed professional care and support. The Institute operates under the organization Beit Or Aviva, which was assembled three years after the first Therapeutic Community was built. The first Chairman of Beit Or Aviva was Israeli Superintendant Ran Cohen who chaired for nine consecutive years. Upon his resignation as Chairman he asked retired General Yair Yoram (Ya-Ya) to respectfully replace him. From October 1999 onwards, Gen. Yaya has been an active, impassioned and long standing Chairman for the organization. The Hartuv community, built in 1987, is the first Therapeutic Community for the treatment of Drug and Alcohol Addictions in Israel. Hartuv is able to offer community treatment therapy for up to 55 patients at any given time. Similar to that of the Therapeutic Model at Ilanot, Hartuv is founded upon an integration of both physically and emotionally based therapeutic programs. This community is a smaller, more intensive setting than its sister community Ilanot. The community of Hartuv places a special emphasis on reaching out to the younger population struggling with Addictions ranging from ages 17 to 24 years old. Hartuv also focuses its attention on young adult immigrants as well as native Israelis who are unemployed and/or struggle to integrate into Israeli culture. Hartuv rehabilitates its clients through a variety of therapeutic interventions such as; group and individual therapy, basic skills training, field trips, educational classes (computer, language) honouring high holidays, and social/communication skill development. Hartuv, in conjunction with Ilanot, bridges the cultural gap and provides a newfound learning experience for those seeking comprehensive addictions treatment. 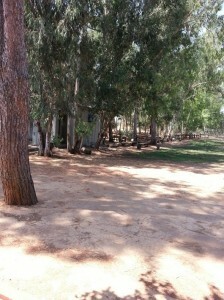 The Hartuv community is situated in the Industrial area of Mateh Yehudah, not far from Beit Shemesh in central Israel. The central treatment building is especially situated to integrate its living quarters, offices, group meeting rooms, gym, and computer rooms in a cohesive and inclusive manner. Hartuv places a strong emphasis on reintegration into the world of employment by gradual exposure to work settings while remaining in the treatment community. Once they graduate from the program they transition to a shared apartment setting in the nearby community. This setting allows for greater individual responsibility, reduced staff supervision and includes full time employment in various industries in the community. Secondly, Hartuv believes in the importance and impact of family involvement in the road to recovery. Thus there is an on-site family therapist who keeps in close touch with the families of clients providing educational seminars designed to strengthen communal bonds and personal relationships. The Therapeutic Community – Ilanot was built in 1989 and is situated in the midst of the Keren Kayemet National Park Reserve and close to the town of Kadima. The community offers therapy for up to 100 patients at any given time. Ilanot is renowned for its integration of both physically and emotionally based therapeutic programs. A special emphasis is given to helping people struggling with addictions aged 17-24 years old. Similar to that of Har Tov, Ilanot also focuses its attention on young adult immigrants and native Israelis who are unemployed and foreign to the culture of Israel. Ilanot rehabilitates its clients through a variety of therapeutic interventions such as; group and individual therapy, basic skills training, field trips, educational classes (computer, language) honouring high holidays, and social/communication skill development. Ilanot also bridges the social and cultural gap for its clients and provides a newfound learning experience for those seeking comprehensive addictions treatment. 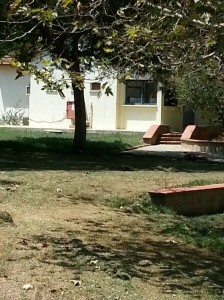 Ilanot has an array of facilities including, spacious living quarters, a large dining room, group meeting rooms, computer lab, gym, athletic, art therapy, animal therapy, fields, as well as a social recreation room.